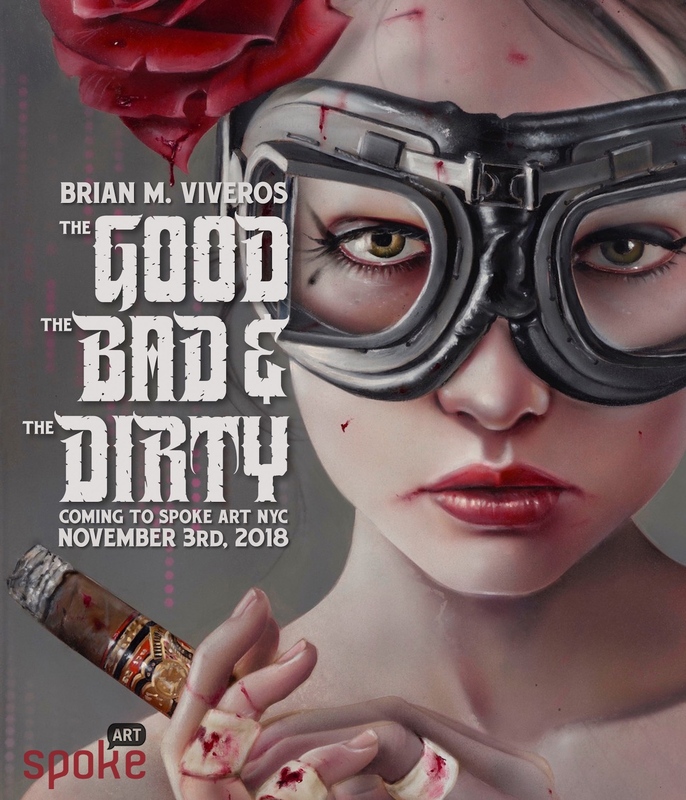 I’m excited to announce that i’ll be coming to New York City’s Spoke Art Gallery, November 3rd – 24th for my solo exhibition ‘The Good, The Bad and The DIRTY’, A complete collection of all NEW never-before-seen works including paintings, drawings, one-off prints and more! 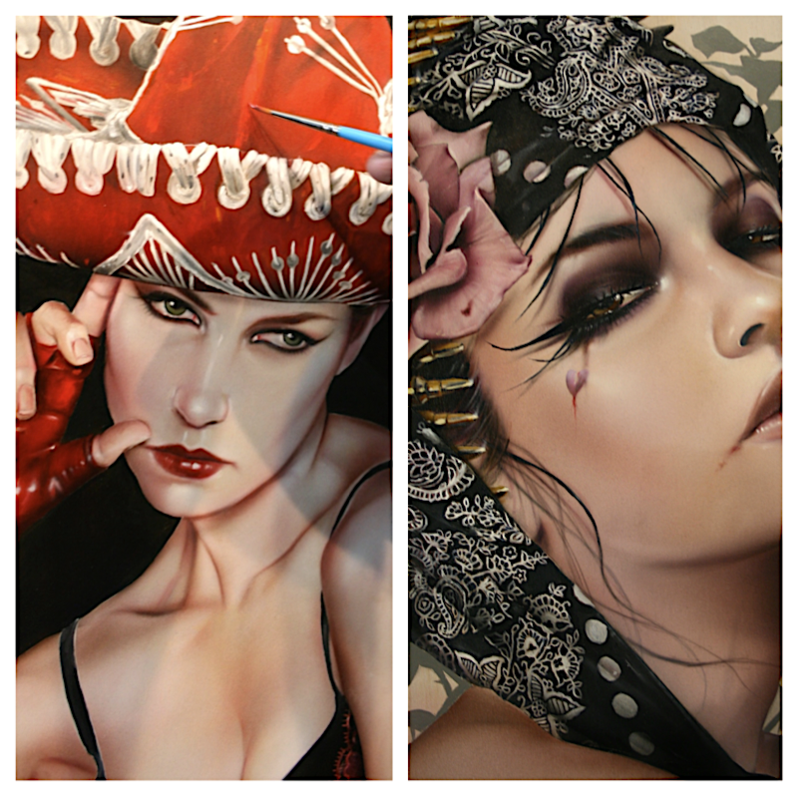 ‘The Good, The Bad & The DIRTY’ will debut phenomenal new paintings of Viveros’ well known, iconic, no holds barred ‘Woman of Power’. 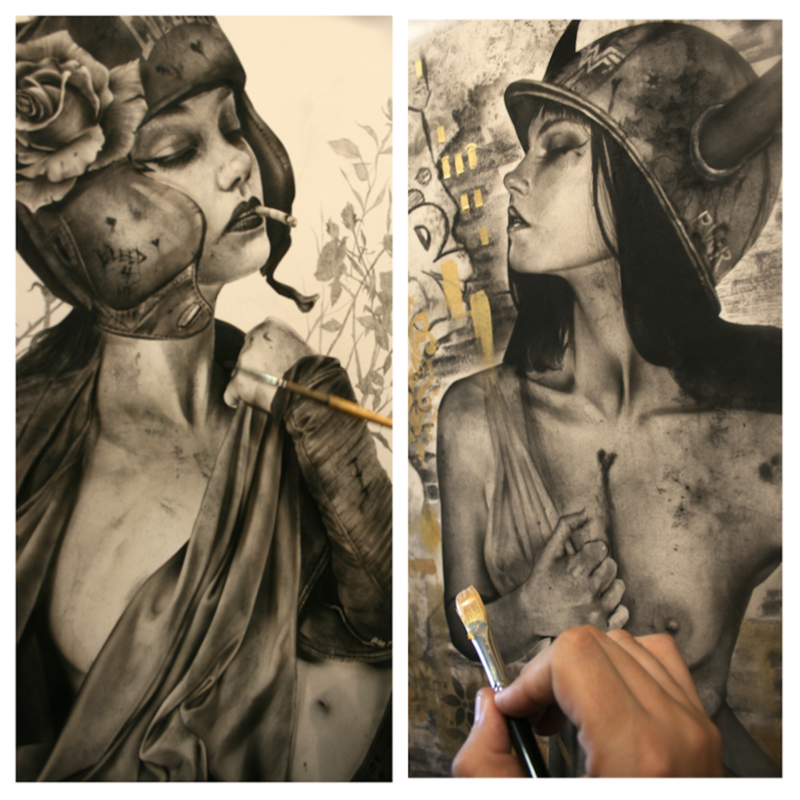 The collection will also feature some beautiful large-scale charcoal pieces with full figurative views like ‘Fighting My Demons’ & ‘Wonder Woman Warrior’. 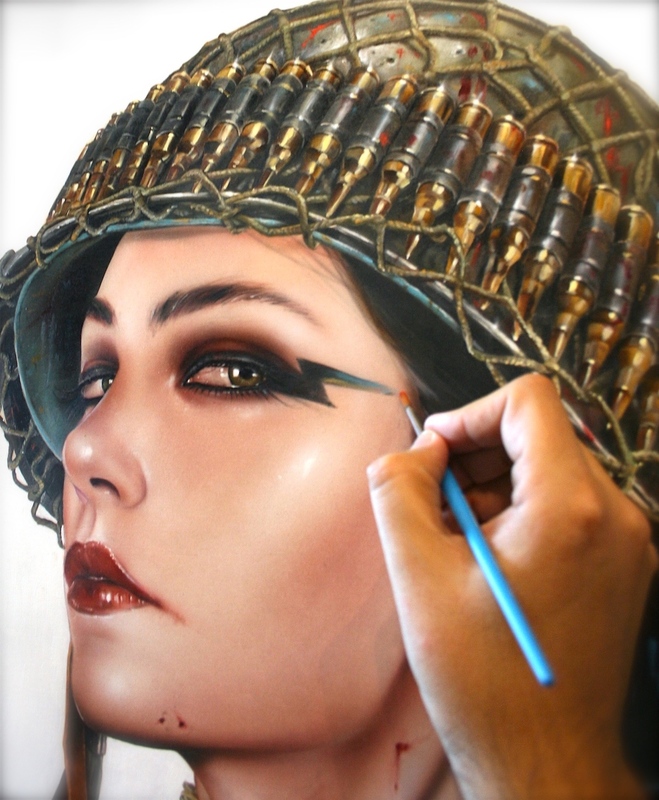 There will also be a large scale painting entitled ‘Painless’ a strikingly powerful piece featuring a DirtyTrooper wearing helmet wrapped in a crown of thorns, set against a lush gold & black background. 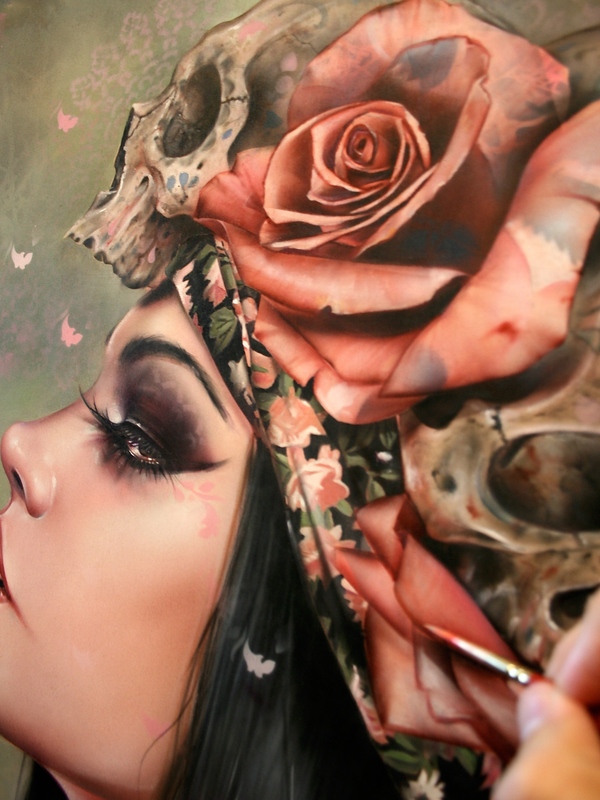 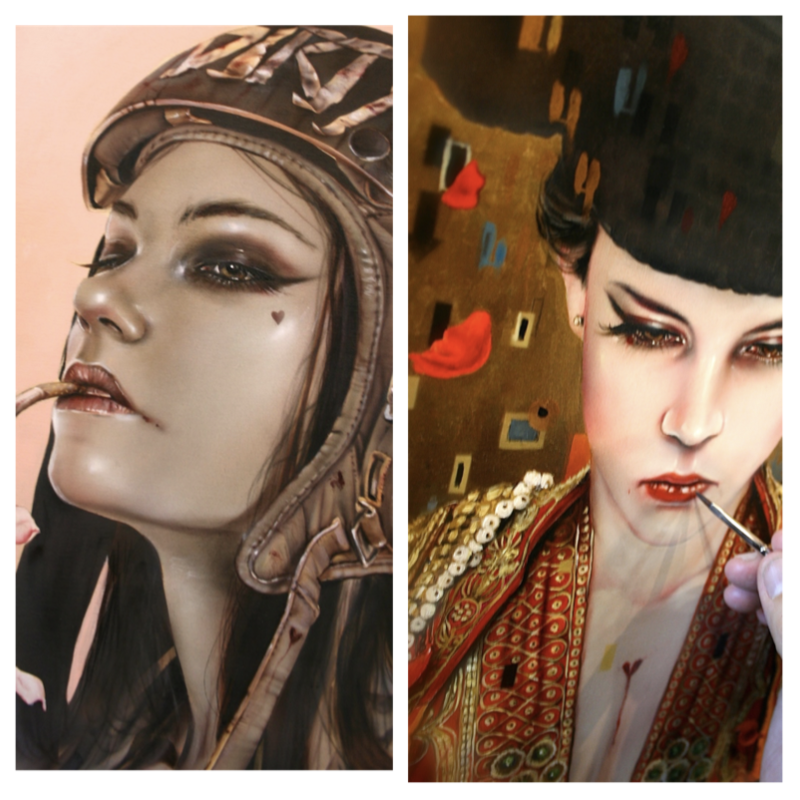 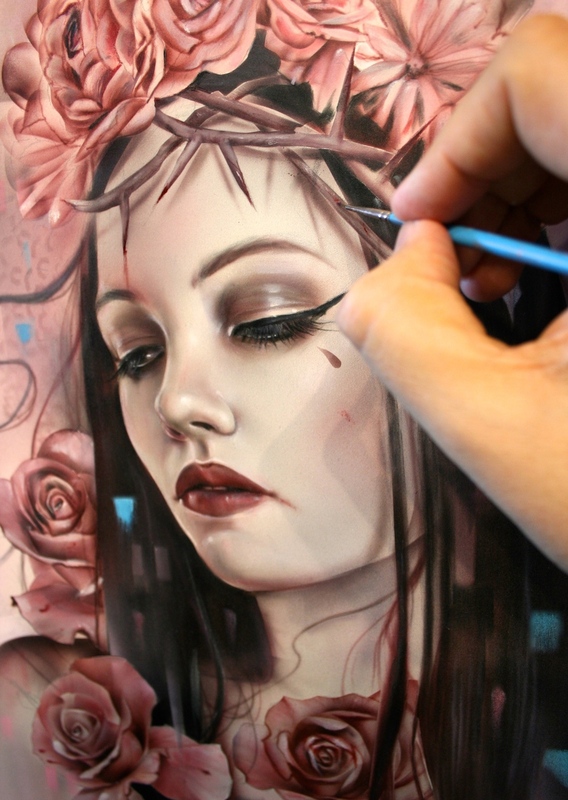 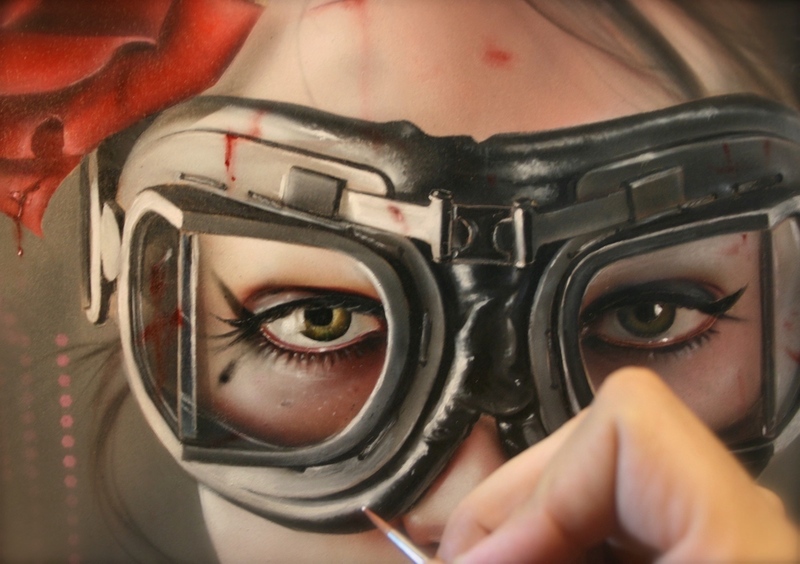 This is Viveros’ most accomplished & personally inflicted collection to date. 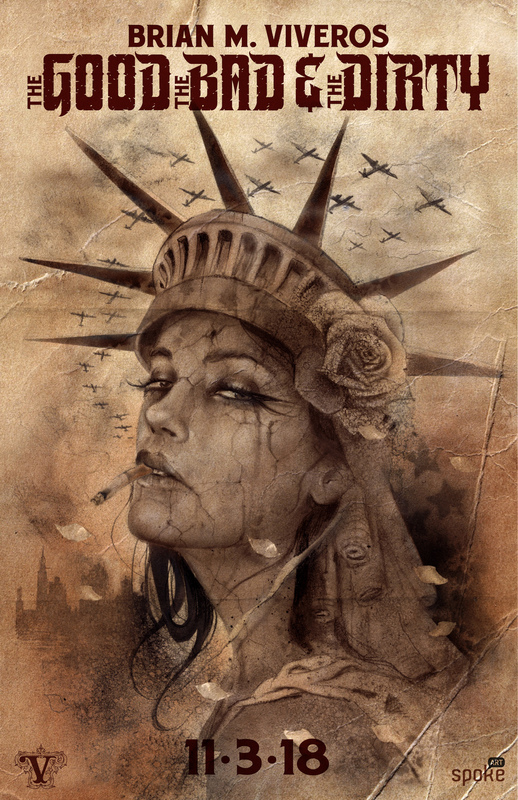 With new energy, new characters and new life, the DirtyLand is evolving to meet it’s next iteration with new STRENGTH, POWER & COURAGE.